Only 7 S 450 models left in stock! Today's S-Class previews the future of driving. It can change lanes with a tap of your finger. Slow itself for a tollboth or exit. Turn a traffic jam into easy street. And watch out for danger ahead, even when it's coming from behind. The first car with 100% LED lighting takes its active LED headlamps to new heights, adapting its brilliance to curves and other cars. New Ultra Wide Beam technology takes high beams to new widths, too, to better illuminate the roadsides. The S-Class is more than motivated, it's motivational. New powerplants raise efficiency and your pulse. And it's advanced, adaptive and highly adept chassis and drivetrains are engineered for an ideal balance of composure and confidence. Two new engines respond with millisecond speed and molecular precision to keep performance and efficiency at their peak. 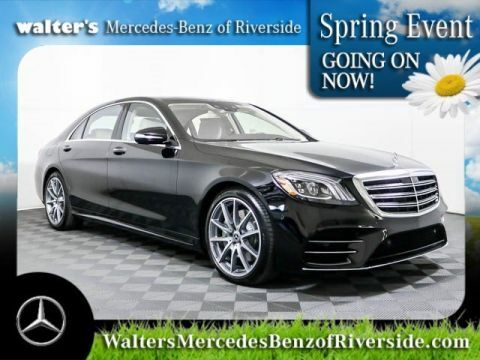 A 3.0L biturbo V 6 endows the S 450 sedans with 362 hp. The new S 560 models are roused by a 463-hp 4.0L biturbo V 8. Standard AIRMATIC®(R) air suspension balances pure comfort with cornering precision. It can self-level for changing loads, adapt to challenging roads and let you select modes to coddle your passengers or indulge your sporting desires. Swifter, smoother and more versatile, the new 9G-TRONIC transmission offers quicker takeoffs, quieter cruising and more seamless acceleration in between. Shift paddles on the steering wheel keep sporty control at your fingertips. 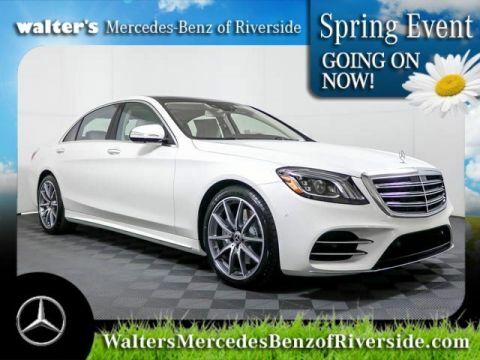 The all-wheel-drive S 450 and S 560 4MATIC® Sedans continually send their engines' torque to the wheels that can use it best. Lightweight, nimble and efficient, 4MATIC®(R) enhances handling and performance in any season. 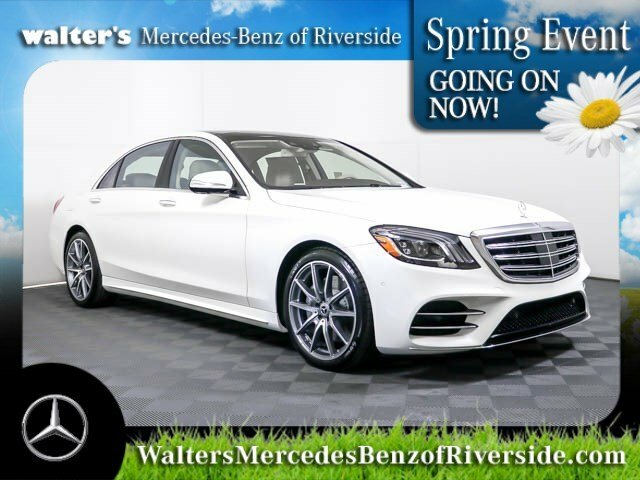 To set the benchmark for luxury sedans, the S-Class cabin is sculpted, sewn, appointed and equipped not just to provide unmatched comfort and convenience, but to stimulate and soothe your senses. Especially your sense of contentment. Apple CarPlay? and Android Auto offer new choices in entertainment and navigation. Their unique interfaces work like your phone because they integrate with it, even its voice controls. Wireless charging is also available, front and rear. Industry-first Energizing Comfort Control can rejuvenate your senses with a symphony of climate comfort, fragrance, massage, lighting and music. Enhanced ambient cabin lighting lets you choose from 64 colors in a variety of themes and zones. Dual 12.3-inch widescreens are set side-by-side in a seamless floating frame. Each screen, a reconfigurable instrument panel and a central screen for entertainment, navigation and more, delivers a wealth of knowledge with instant clarity. Two smartphone-like pads access nearly all the car's features directly from the steering wheel. Scroll, swipe and select from the central screen with your right thumb and the screen between the gauges with your left. 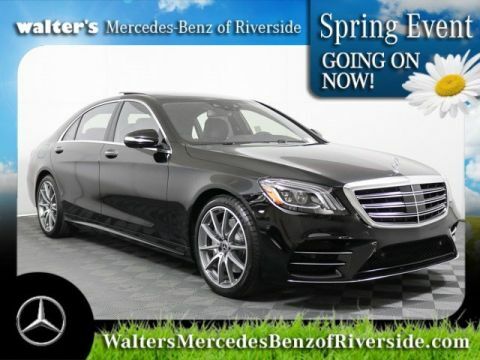 Let the 2019 Mercedes-Benz S 450 4MATIC® impress you in person today at Walter's Mercedes-Benz of Riverside located at 3213 Adams St. Riverside, CA 92504.